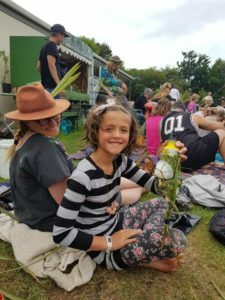 Learn to make your own water bottle holder or make one for a friend in New Brighton Community Gardens. Everyone is welcome. Your donations help our gardens to keep being open. Please bring 2 big Flax leaves approx 2 meters. Cut no sooner than the day before workshop, do not cut the middle 3 leaves on both sides of flax cluster not to damage the plant. We will need 2 hours to finish the work. Bring your smile and water bottle.